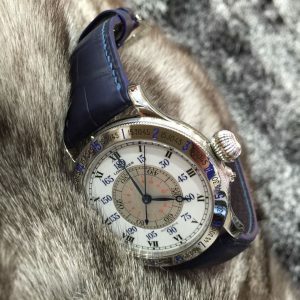 “It all started out with a purchase of a Panerai 6 years ago. 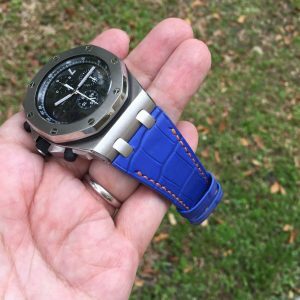 And as you know for Pam, it’s made for strap change easier than any other watches. So I bought my first baby hornback strap, it cracked within 6 months of use. 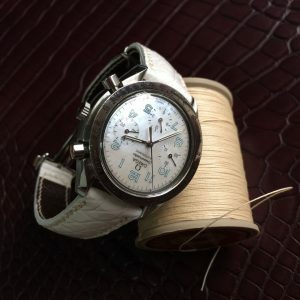 Being curious I looked into the cracks and found linen in the leather. 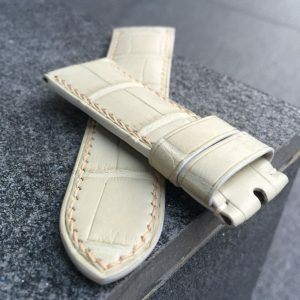 Paid sgd$320 for a strap and no decent leather is used all the way. I was disappointed and so I decided that I could probably make my own as the construction was not complicated from what it looks. 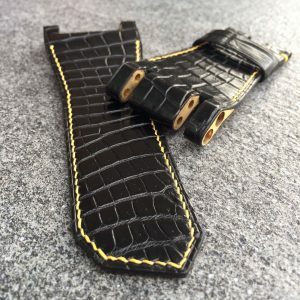 Made some searches on line and bought a piece of leather through eBay still thinking that it’s not going to be difficult. Well the leather came and got work started. Cut out the patterns, next thing I know I didn’t have any tools to punch holes for stitches. Not wanting to wait and search for a tool, I awl every single hole and that took me such a long time. Finished the strap in a week and I tell myself, it’s almost impossible to craft and have a decent pay since it took that long. But that didn’t stop me as I wanted to find out more and I’m sure there are tools out there that could be used to shorten the processes. Slowly but surely all tools arrived. 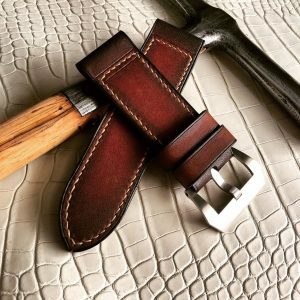 Having tools doesn’t make you a sellable or nice strap and know that I have plenty to do. 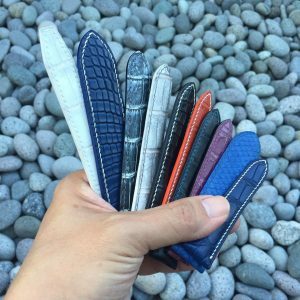 A lot more samples were made and this also became part of my practices. 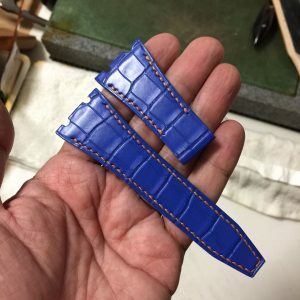 On and off, I’ll make straps for friends and family. 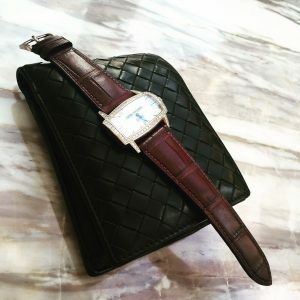 I was always in vintage styles for almost 2 years when my younger brother approached me to have a strap made for his Urwerk. 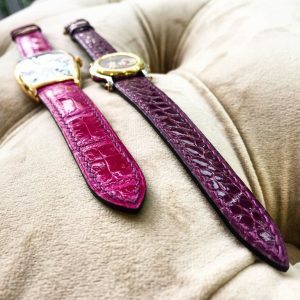 He told me that he didn’t want to pay a high price for the original alligator strap at sgd$700 a piece. And so the search is on for a good tannery. I know Singapore has few but he wanted the best! 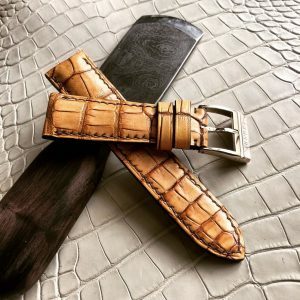 Finally found a tannery owned by LVMH, and we went to get a few pieces of alligators and crocodile leather. 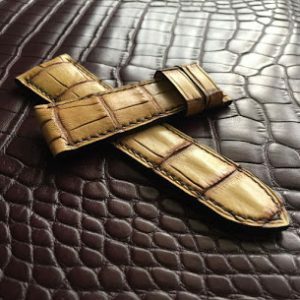 I used up a whole piece of alligator just to test the make and leather density which was very different from other leathers. His strap was completed and I was really satisfied with it. 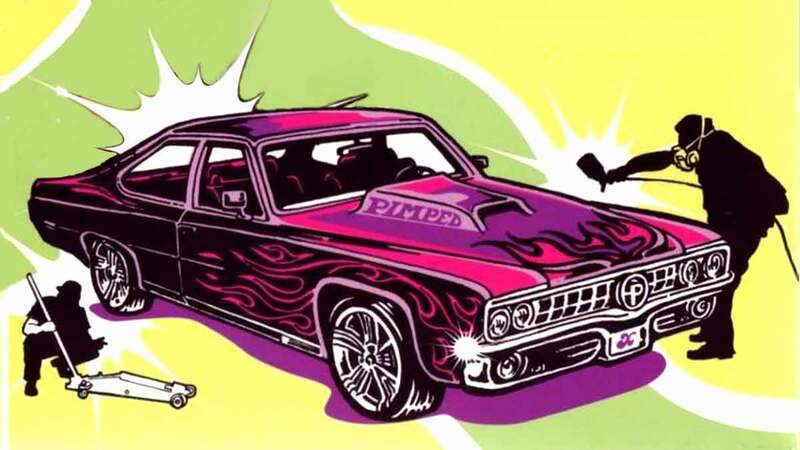 But there’s more work to do. 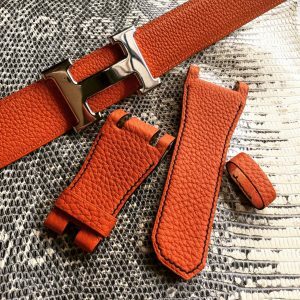 With premium leather, comes high quality thread, glue, tools and edge finish which is most important compared to a vintage finish strap!! Slowly I got to know a few crafters who has started out almost the same time as I do. And we shared the knowledge and know how’s. And through this small group of friends, I refined my style of making my own signature stitches and style. At the end of the day, although it took me much longer than any others, as I didn’t bothered to search or follow any famous makers I developed my own unique style which is good in a sense. My regulars could actually recognize my stitch patterns. 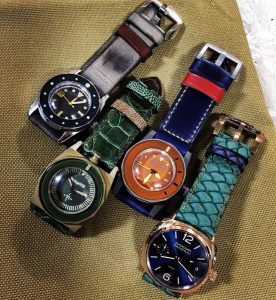 Below are some of the wonderful straps that are hand-made by Mr. Laurence himself and he is available on both Facebook & Instagram. 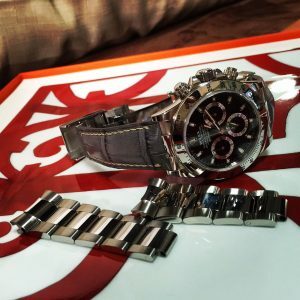 Do follow him and check out his work if you ever consider pimping your watch.